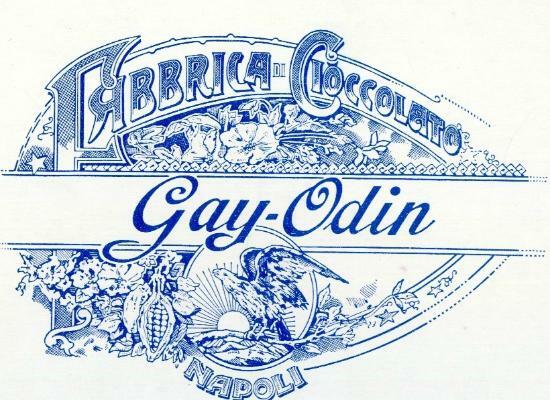 If you love chocolate, Gay-Odin is heaven for you! Neapolitans and tourists stop here attracted from the splendid windows and mahogany furniture of this historic chocolate factory and shops that since the beginning of the 20th century have been inebriating the passers by. It was founded by the young chocolate manufacturer Isidoro Odin, of Swiss origins, who decided to come to Naples, at the time one of the most important cultural centres, meeting point for artists and intellectuals the same as Paris, London and Wien. Thanks to his success he founded his factory in the very heart of the city together with his wife Onorina Gay: the brand Gay-Odin was born. It was appreciated by the writer Oscar Wild, the poet Salvatore di Giacomo and the writer and actor Edoardo de Filippo, just to mention some estimators. Today there are ten shops in town, one in Rome and one in Milan, but its production maintains a high quality level. In 1993 it was included among the national monuments and it keeps working following the ancient recipes and techniques by means of modern and old machinery. Liqueur chocolates, or with a soft centre, or covering almonds and nuts are sold in wonderful boxes with pictures of 19th century Naples. If you are a vegan, you can also find a special kind of chocolate in which there are no eggs and milk. But the very jewel of the trade mark is the “Foresta” chocolate absolutely unique either for its taste and consistency. And now wonderful news for all of us: doctors say that CHOCOLATE IS GOOD FOR OUR HEALTH!